The original Foundation Trilogy has long held the top spot as my all time favorite work of serious science fiction. But I only read it once, when I was in sixth or seventh grade. During a recent trip to Chamblin Bookmine (probably the most awesome used book store on the planet! 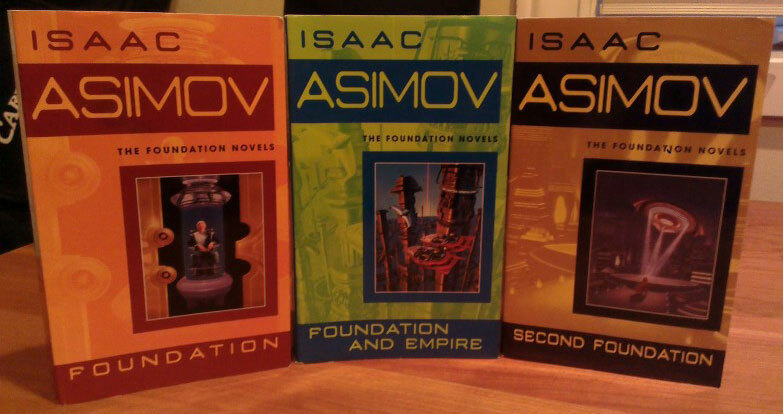 ), I stumbled across the Asimov section and decided to give him a re-read. I’m currently about three quarters of the way finished. Two thoughts. One, older me finds the story a little on the boring side. Maybe that’s because my mind was blown the first time and it can’t be re-blown by the same concept? In case you haven’t read it, the McGuffin (plot trigger) is that a psychologist in the future discovers a way to predict the future by applying mathematics to psychology. In this way he predicts the fall of a galactic empire and an extended period of chaos and technological/intellectual decline. To expedite the recovery, he sets up a foundation and establishes two colonies on either side of the Empire. 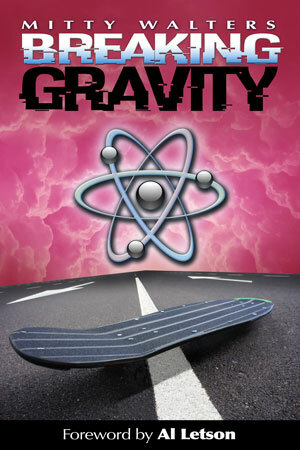 In the book, you follow different characters at different periods of time as the recovery unfolds. I almost feel guilty about my inability to get excited again, especially since the McGuffin (using math to predict the future) is so awesome! My other thought is–holy crap! Older me finally understands why this book was so controversial. All the biting commentary on religion/politics? Here we are sixty years later and Asimov’s thoughts are still relevant. Talk about a visionary! Despite not being able to find the same level of excitement this time around, I am enjoying myself and do plan to read the entire trilogy (but not the later editions). If you’ve read this book, I’d love to hear your thoughts. Feel free to add a comment below. 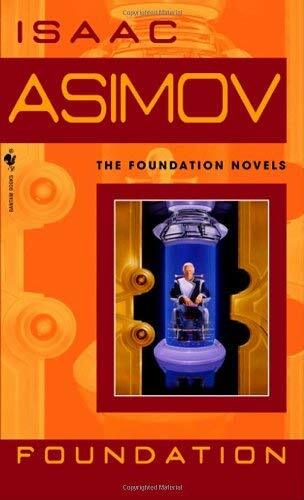 Asimov’s most famous early short story (or series I think) was about the predictive properties of dissolving organic crystals. Supposedly refining the solubility of molecular variants resulted in a crystal that would dissolve a second before the solvent was applied. By using the crystal to apply solvent to other crystals, a cascade was made that would determine even a day ahead of time whether the solvent would be added. This made gambling on sporting events profitable among other adventures. Much later, he made an introduction for me with John Campbell to write a science editorial for Analog SF on atmospheric ozone, but I’ve already told you that story.